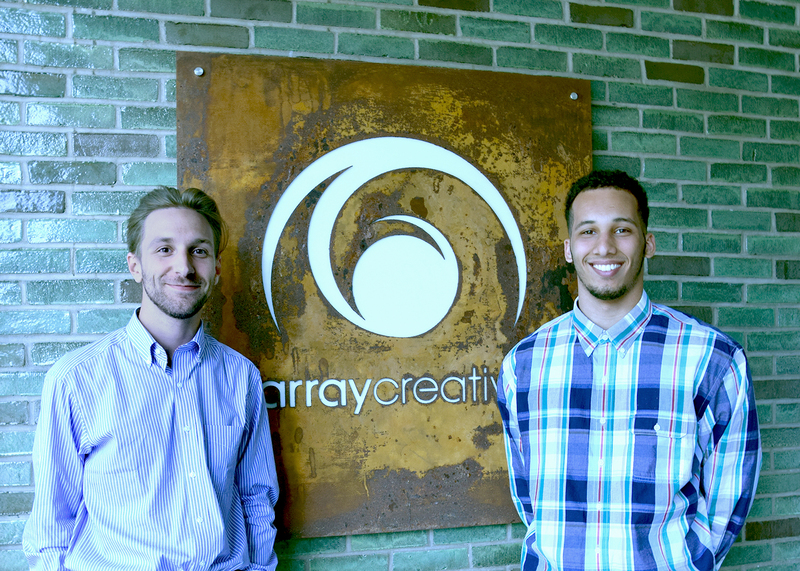 It’s only been a week since starting my marketing internship with Array Creative and I already feel like I have learned plenty. Despite being a little green around the edges, I finally feel like I am working in the right environment. What kind of environment is that? Well before I tell you, perhaps I should introduce myself. My name is John and I am student at Kent State University. In my free time you’ll find me strumming on my guitar or trying to go find a new state park to check out. I love music, memes, and milkshakes. Being a 23-year-old senior, I am nothing but anxious to get working in the real world and start my career. Although I have worked numerous jobs, from customer service to grounds keeping, I have never worked a job where I have felt such a sense of commitment to not only see myself succeed in the workplace, but the agency as a whole. At Array, we aren’t just colleagues, we are a Team. We are a team that has roles to help reach our common goals. Each role may be different, but they all come together like pieces of a puzzle to complete one final masterpiece. This is my very first internship, and after reviewing some of the last summer intern’s work, it’s clear I have some big shoes to fill (which isn’t a bad thing!). So what kind of environment is Array? It’s a friendly, dedicated, purpose-driven environment. A free environment that allows for learning and fun, while at the same time, room to be creative and focus on giving the best work to our clients. I have always believed in doing work with integrity, I only want to put my best out there. One thing I have always wanted out of a career was to utilize my creativity. Array has provided me with that. Whether it be in blurbs for fun holidays or writing fun facts about the agency, each has a need for creativity. Although fun and creative, I don’t take my responsibilities lightly. Each task plays an important part in helping us be the best we can be. It is my personal belief, that every detail/task, however big or small, matters. Since we are a team and not just an agency, it is important to realize the significance of every job we have so that we can further our goals. Every role is essential to make sure that our team accomplishes its objective. As an intern my role may be more supporting, but just like a puzzle, the final picture wouldn’t be complete without me! Each role of the Array team is essential. Ian Marin is the managing partner as well as the creative team leader. Ian oversees large projects and helps keep them on track. He manages to do this while remaining calm and collected on the surface. Next is Cathy Snarski, someone who fills many different roles as needed. Cathy is the director of marketing and design. Cathy helps combine both creative and research to offer the best strategy. Shawn Magee, a senior art director, is an incredibly talented creative. He’s efficient, works until the job gets done, and makes sure every design is well thought out. 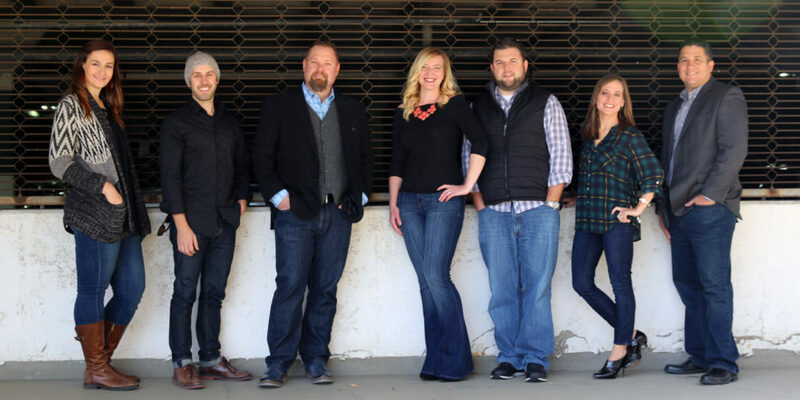 Tara Shank, an art director here at Array, helps push designs to be the best they can be while seamlessly managing a number of clients and projects. Kim Rospotynski is a senior graphic designer who is incredibly talented at creating unique designs that help resonate with the client. Kim’s friendly demeanor helps bring a more personal touch to the creative. Last but not least, Donny Rambacher is the graphic designer here at Array. Donny helps each design remain fresh with a young perspective and doesn’t mind getting his hands dirty to produce his best work. The core team members work extremely hard for their clients, so much so that they don’t always have time to help promote Array itself. That is where I and the other Summer intern come in! I got the chance to sit down with a few of the team members as well as the new design intern, Marcus. Marcus is also a student at Kent State, and as well as being creative, he has an athletic side too – he plays for the KSU football team! Although I have only known Marcus for a short amount of time, I think it’s fair to say that he is a friendly person that values his work and his colleagues. While we were sitting down with some of the team, Array’s principal, Eric Rich, explained to us a bit about his vision for the agency. His vision was not only admirable, but it also included good business practices. Eric expressed heavy concern for the well-being of each team member. I couldn’t help but have respect for that. Being an agency that specializes in design, he also emphasized, “design with purpose.” Just like how every role plays a part in the final design, Eric sees the need for every design implementation to have a role. For instance, not just using the color green because you like it, but because it is reflective of an outdoor component of the product. This is something that I not only find smart, but meaningful as a business practice. Array has provided me with an opportunity to get real world experience and also with a chance to enjoy my work. From taking a refreshing walk around the block to playing a quick game of foosball (spinning is illegal! ), there always seems to be time to have a laugh. Everyone at Array welcomed me with open arms and continue to assist me when I need direction. It’s been a great two weeks already, but I can’t wait to see what the rest of the summer entails. I plan on doing my very best to help support the team and fill the role of ‘the summer intern’ the best I can.